Nicolosi, also called "the door to Etna", derives its name from the Benedectine Monastery of San Nicolò l'Arena, built in the XII century, of which some remains are still visible today. It was the presence of such a monastery that allowed the formation of the first nucleus of inhabitants. Soon after it belonged to the jurisdiction of the nearby town of Paternò until 1852, when it became independent. 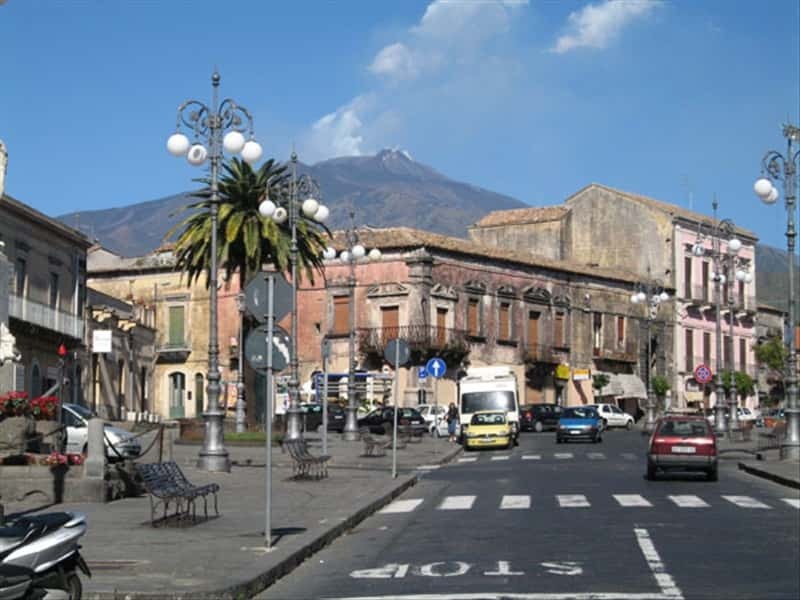 The city has undergone various phases of reconstruction due to the frequent eruptions of Etna among which we remember the eruption in 1669 which nearly completely destroyed the town. The most relevant monuments are the Chiesa Madre of 1700, that presents a splendid baroque bell-tower preserving a wooden Crucifix of the XVI century, the Chiesa di S. Giuseppe, the Chiesa Santa Maria delle Grazie and the Chiesa della Madonna del Carmine, both built in 1700. This town web page has been visited 19,863 times.